A two day carnival to be held in New Delhi which will showcase the cultural & traditional heritage of the region “Paradise Unexplored“. 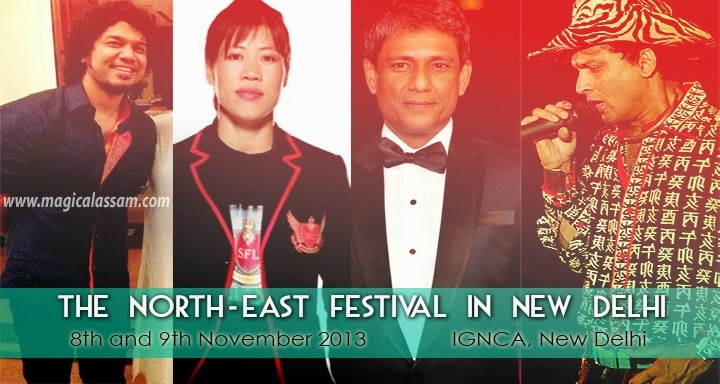 All North-East Stars from Olympian Mary Com to Actor Adil Hussain to Music Sensations Zubeen Garg, Papon and Shillong Chamber Coir will come together to promote the North-East and its tourism potential before a Nationl and International audience in New Delhi. The two day event will be the biggest event ever on North East to be celebrated outside of the region which will showcase all the eight states, their success stories, ethnic dances, top musical talents, tourism potential etc.